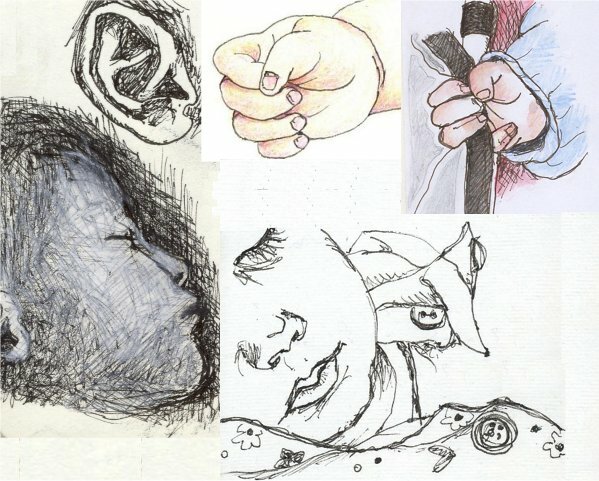 I was struck by many things about Audrey Niffenegger’s astonishing novel The Time-Traveler’s Wife when I read it in early 2007 – just before I started this blog – and among them was a tender description of one of the characters, an artist, making a pastel drawing, from life, of a sleeping baby. I have painted M in oil pastels, but “only” from a photo, as shared here. One day , perhaps, she will be patient enough to indulge her mummy while I sketch her awake, and from life. 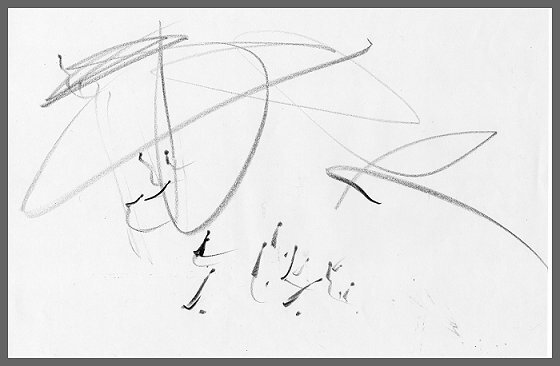 Meanwhile, here is a record of the moment when she stopped simply making lines back and forth across the page, and started visibly experimenting with mark-making: she was 17 months old. 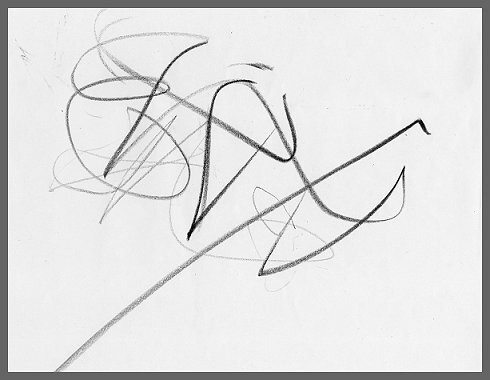 These drawings remind me of abstract work that I have seen, and I’m very fond of them. To me they’re like an exotic script, or some strange dance notation. These are great little memories of your daughter. I actually have an 18 month old daughter too-and she would be impossible to draw while awake. At this point, I am happy to get clothes on her before she walks away from me. Love the blue armchair and the yellow tree above, too. I went to an Audrey Niffeneger interview at the Writers Festival in Sydney a couple of eyars ago. I’d not read her book, but I she was interesting. I’d forgotten about it, and now you’ve reminded me I must read it.